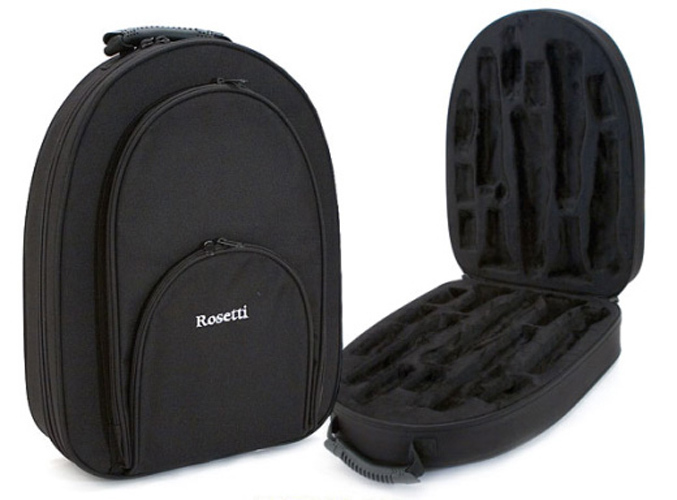 Rosetti cases are well designed, practical, and ideally suited to student and intermediate level instruments. This Double Clarinet case fits most major brands of instruments and comes with two useful outer pockets for sheet music and extra accessories. Suitable fit for most major brand clarinets. 2 zipped front accessory pouches. Rucksack style shoulder straps (which zip tidily away when not in use). A white embroidered Rosetti logo.